A Tribute to the Father of Singapore ~ Portraits of yesterday!! An year back when Aishwarya was given the topic 'My Superhero', to speak about in front of her class, I didn't have a second thought on who to write about and Aishwarya and myself agreed instantly. We decided to talk about Mr. Lee Kuan Yew. Today one of my wishes stand unfulfilled. My wish was to see him alive and I eluded the chances of seeing him lifeless the last few days. Today as I write this, its drizzling outside as if the nature is crying for one one of his greatest sons, one who loved nature and carved a nation into its glory. Its a farewell to a father who did his best to ensure that the generations to come shall thrive in prosperity. A father who wished the best and never settled for anything less than the best for his children. "Heroes didn't leap tall buildings or stop bullets with an outstretched hand; they didnt wear boots and capes. They bled, and they bruised, and their superpowers were as simple as listening, or loving. Heroes were ordinary people who knew that even if their own lives were impossibly knotted, they could untangle someone else's." Said Jodi Picoult in her novel Second Glance. This could rightly be told about my superhero Mr. Lee Kuan Yew. 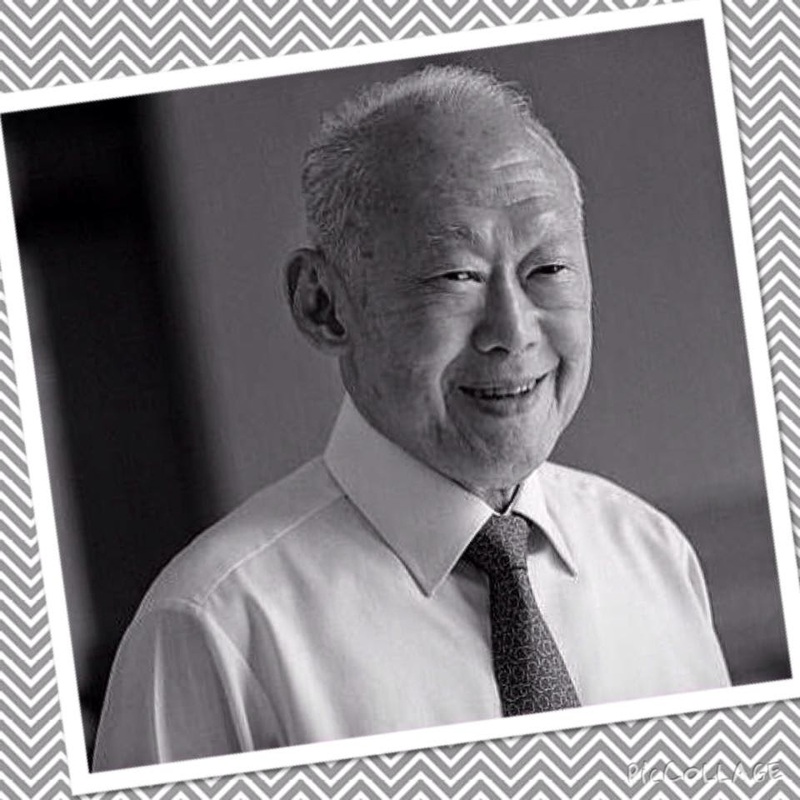 Under this visionary's leadership Singapore transformed into a thriving metropolitan city in a mere three decades. He led Singapore to independence and served as its first prime minister. Under his guidance Singapore became a financial and industrial powerhouse. Instead of being controlled by circumstances he made opportunities and circumstances. He inspired and motivated his subordinates by setting good example of a person with great integrity. His solid academic achievements were the foundation to his political success. He was termed as 'scholar" and an "intellectual" who had an excellent command over English language. "Masterful communication skill" is termed as a characteristic of a charismatic leader. A hero is someone who has lived his inspirational life for us look up to and follow. Mr. lee has always placed service before self-interest. He believed in multiculturalism and high educational standards and it reflected in the society he created. Mr. Lee is a testimony to show what hard work, perseverance and discipline can achieve. In a short sentence we could easily say that Mr. Lee created a tiny Island of few millions who constantly strive to improve. Thus he is my living Superhero who inspires me and smiles down at me from his picture rightfully placed in front of my study table.